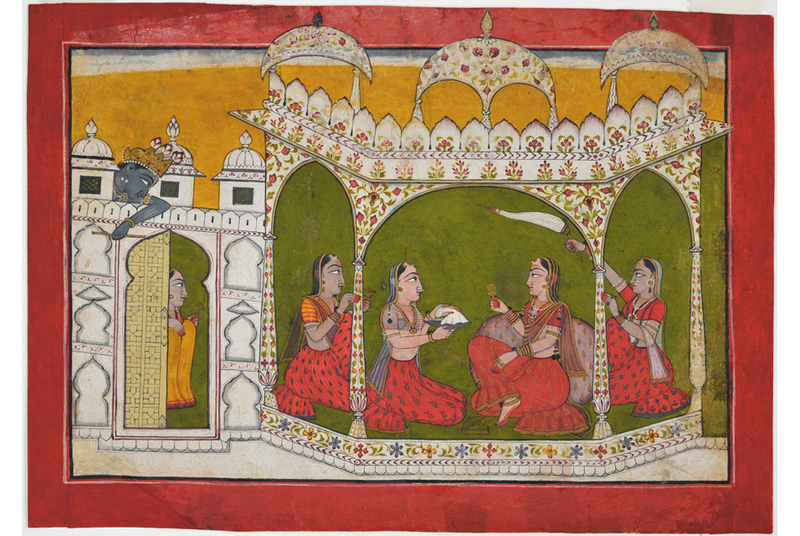 Krishna Spies on Radha from the Rooftop, Punjab Hills, Nurpur, India, ca. 1710. Ink, opaque watercolor, and gold on paper. NEW YORK, NY.- Eighteen new galleries from Australia, Belgium, England, France, Germany, Italy, Japan, Switzerland, and the United States join the 2013 edition of Asia Week New York, bringing the total to an unprecedented 44 galleries, it was announced by Henry Howard-Sneyd, Chairman of Asia Week New York, and Sotheby’s Vice-Chairman Asian Art, Americas. The annual collaboration of international Asian art specialists, major auction houses, museums and Asian cultural institutions takes place throughout metropolitan New York from March 15–23, 2013. The newcomers in the fields of Indian, Himalayan and Southeast Asian art include: Art Passages (United States), Buddhist Art (Germany), Galerie Hioco (France), Nayef Homsi (United States), Prahlad Bubbar Ltd. (England), Walter Arader (United States), and Xanadu Gallery (United States). To help visitors easily navigate the week’s myriad activities, a comprehensive guide with maps will be available at participating galleries, auction houses and cultural institutions, starting February 2013 and online at www.AsiaWeekNewYork.com. For the first time this year, an abridged version of the website will be available in Chinese emphasizing the strength of interest from Chinese-speaking buyers.